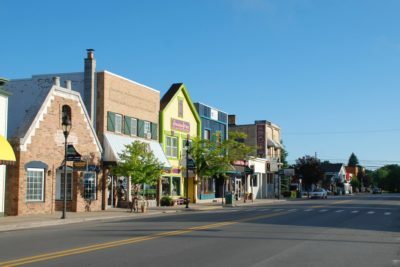 The Health Department of Northwest Michigan and SAFE in Northern Michigan recognize the Village of Bellaire for its commitment to maintaining a healthy community. The Village Council recently passed a resolution prohibiting the use of all tobacco products—cigarettes, cigars, pipes, smokeless tobacco, e-cigarettes— in its parks and beaches, with the exception of rented outdoor spaces including the Richardi Park Gazebo, Pavilion and Craven Park Campground. The Village of Bellaire joins many other local jurisdictions in Northern Michigan by banning tobacco use in designated public areas. Private parks and organizations are also encouraged to take action against tobacco use. Charlevoix, Petoskey and Boyne City Public Libraries and the Petoskey Youth Soccer Association Click Road Soccer Complex are other examples of area tobacco-free campuses. The Health Department of Northwest Michigan is mandated by the Michigan Public Health Code to promote wellness, prevent disease, provide quality healthcare, address health problems of vulnerable populations, and protect the environment for the residents and visitors of Antrim, Charlevoix, Emmet, and Otsego Counties. To learn more, call (800)432-4121 or visit www.nwhealth.org.